If you want to add some real character to your home, our range of wood burning stoves is second to none. If you need advice, our experienced staff can talk you through every aspect of installing and maintaining your stove. If sleek and modern is more your style, we have a fantastic range of 'hole in the wall' fires for a contemporary look. Internet deals are available on selected fireplaces, heaters and stoves and our Lowest Price Guarantee means you can be sure you're getting the very best deal. 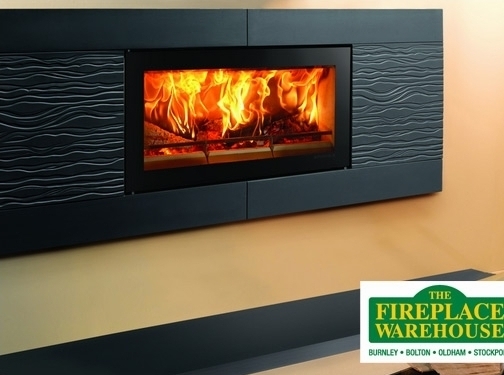 With over 20 years’ experience in the fireplace industry, we at The Fireplace Warehouse pride ourselves on offering the most comprehensive range of fireplace and fireplace products within the UK, but also for offering a friendly and professional service to all our customers. We're always delighted to answer your questions and offer advice to ensure you choose the ideal product for your heating needs. We personally select all our stoves and fireplaces from the best manufacturers and each one is chosen for its quality and craftsmanship. UK (Burnley Lancashire) based business - with over 20 years' experience - providing stoves, fireplaces and heaters. Website includes e-commerce facilities, work examples (customer gallery), testimonials (via review.co.uk details of business premises, blog, full contact details including company registration number. Company website has been online since 2000 according to web.archive.org.